Got a question or comment about CityTours in Edinburgh? Ask a Travel Expert! Edinburgh has many attractions for visitors and these are best covered by taking a tour of the city and the surrounding areas. Edinbrugh offers tours for a multitude of interests; literary, film, whisky, golf, food and running tours, to name a few. In the city, take a tour to see Edinburgh Castle, the Palace of Holyrood and the famous Royal Mile. There is even a 'Ghost Hunter' night tour in Edinburgh's Old Town. Excursions to Loch Ness, Glencoe and the Scottish Highlands are great options, and visitors can see the Old Man of Storr on the Isle of Skye. A trip to Inverness offers beautiful views of Stirling Castle. Take the high road to the Scottish Highlands and Loch Ness on a small group day trip from Edinburgh. You'll travel through beautiful Glencoe, admire the spectacular Highlands and spend time at Scotland's famous Loch Ness - an absolute must on any visit to Scotland!With a maximum group size of 16 passengers, you are sure to have a memorable and personal experience on this special day trip to the Scottish Highlands. Traveling in a small group means you can reach out-of-the-way places to discover the real Scotland!Leaving Edinburgh, you'll pass Linlithgow Palace (birthplace of Mary Queen of Scots), Stirling Castle and the Wallace Monument, to reach the most dramatic of all Highland glens, Glencoe. This area is steeped in history, and you will hear the truth about the infamous 1692 massacre of Clan MacDonald.Journeying through Fort William, site of the military post built during the Jacobite Rebellions in the 18th century, you'll continue up the Great Glen, between Fort William and Inverness.After lunch at Fort Augustus on the shores of Loch Ness, you have the option of taking an hour-long cruise on the loch (not included). The boat has a sonar system, so if Nessie is around you will not miss her! (Operational from Easter to end October. )Back on the road, you'll stop at Spean Bridge before heading through the Cairngorms National Park, Craig Meagaidh and along the shores of Loch Laggan, where the TV series Monarch of the Glen was filmed. Continuing over the Drummochter Summit, where herds of red deer often graze, you'll visit the Victorian town of Pitlochry, the final stop for the day. Click here to find out more about this deal! Immerse yourself in the wild beauty of the Highlands and Isle of Skye on a three-day small group excursion from Edinburgh. In three days you'll explore some of the most dramatic and beautiful scenery in the Highlands, and visit the second largest west coast island of Scotland, the magical Isle of Skye.Other tour highlights include Glencoe, the Lochaber region around Fort William, Eilean Donan Castle (set of the movie Highlander) and over the sea to Skye, where you'll stay in the picturesque harbor town of Portree.You'll spend the entire second day on Skye, exploring the wild north of the island, Old Man of Storr, the mountain pass of the Quiraing and Skye's most westerly point at Neist.On the third day you'll return to the mainland, before traveling through the Five Sisters of Kintail, and on to eerie Loch Ness, the central Highlands and Edinburgh.With a maximum group size of 16 passengers, you are sure to have a memorable and personal experience on this special trip to the Scottish Highlands. You'll travel in a comfortable air-conditioned minivan and receive individual attention from your expert driver/guide. Traveling in a small group means you can reach out-of-the-way places to discover the real Scotland!Winner of the Inaugural Scottish Thistle Award for Sustainable Tourism, October 2007. Click here to find out more about this deal! Spend two days exploring Loch Ness and Inverness, past and present, on a small group trip to the Highlands from Edinburgh. With a maximum group size of 16 passengers, you are sure to have a memorable and personal experience on this leisurely two-day excursion to Loch Ness and Inverness.Highlights of the tour include:Views of Stirling CastleThe wilderness of Glencoe, steeped in its grim history, where you can soak up the atmosphere during an afternoon walkSpooky Loch NessTaking a walk in Glen Affric, featured in the TV series The Last of the MohicansThe stronghold of Urquhart CastleSpending a night in Inverness, capital of the HighlandsGrampian MountainsWinner of the Inaugural Scottish Thistle Award for Sustainable Tourism, October 2007. Click here to find out more about this deal! Travel to Stirling Castle and Loch Lomond in style on a small group tour by Mercedes minivan from Edinburgh. With a maximum group size of 16 passengers, you are sure to have a memorable and personal experience on this special excursion to Stirling and Loch Lomond.Stirling Castle was Scotland's most important medieval stronghold and is set high on a volcanic outcrop. 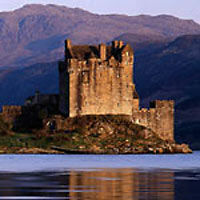 There has been fortification on the rock since 1000 BC, as it guards the main route north into the Scottish Highlands. You have the option of visiting the castle to see some of the finest Renaissance architecture in Scotland.Leaving Stirling, you'll travel past Doune Castle, Callander and into the Trossachs, an area popularized by authors such as Sir Walter Scott and Daniel Defoe. This is also the territory of Rob Roy MacGregor, Scotland's Robin Hood. The tour stops for a leisurely lunch (own expense) outside the village of Aberfoyle.Continuing along the spectacular single track road to Inversnaid, originally an old droving route the Highlanders, you'll pass Lochs Ard, Chon, Arklet and Katrine. Inversnaid, by Loch Lomond, is home to a nature reserve owned by the Royal Society for the Protection of Birds.You will have about 1.5 hours at Loch Lomond, to either join your guide for a walk to the viewpoint overlooking the loch or enjoy a wee dram of whisky in the hotel whilst taking in the views. In the summer, there is also an option to take a one-hour boat cruise to the north end of the loch.Winner of the Inaugural Scottish Thistle Award for Sustainable Tourism, October 2007. Click here to find out more about this deal! With great views from the top of the bus, strategically placed stops and an interesting commentary, this truly is the best way to see the sights of Edinburgh. You can hop-on and off as many times as you like aboard this open-top double-decker bus. There are 24 stops and the entire route takes approximately 60 minutes. The bus departs every 20 minutes from each stop. Tickets are valid for 24 hours from first use.The capital of Scotland since the 15th Century, Edinburgh stands on 7 hills creating a dramatic skyline. Tour highlights include the Edinburgh Castle, Palace of Holyrood House, the historic Royal Mile and Our Dynamic Earth. Click here to find out more about this deal! Get a real taste of Scotland on this two day trip from Edinburgh. Venture into Inverness, the capital city of the Highlands which sits astride the Loch Ness, home to the elusive Loch Ness Monster.Highlights of your two-day Inverness, Loch Ness and Highlands excursion include:Rannoch Moor and Glencoe, Scotland's most famous glen and the scene of the terrible massacre of the MacDonalds in 1692Fort William and the striking scenery of the Great GlenDrive from the attractive village of Fort Augustus along the entire length of Loch NessOptional cruise on Loch Ness or visit to Urquhart CastleFree time in InvernessThe Victorian resort town of PitlochryYou'll stay in first-class hotel or guesthouse accommodations on this two-day tour, specially selected for its convenient location close to the main sights and shopping area. There's a hearty Scottish breakfast to get things off to a good start on day two, and your dinner arrangements have been kept free so you can dine as the mood takes you.A popular feature of this tour is the extended free time available for independent sightseeing or shopping. You'll have plenty of time to relax in the Highland surroundings without feeling rushed, following your own interests at your own pace. Click here to find out more about this deal! Leave Edinburgh for the day to discover the beauty and history of Loch Ness and the Scottish Highlands. You'll travel through Scotland's most beautiful countryside and visit the magical lake the Loch Ness Monster calls home!The journey northwards takes you through Rob Roy MacGregor country to desolate Rannoch Moor. You will travel through haunting Glencoe, the "Glen of Weeping", where 40 of the resident MacDonald clan were massacred in cold blood by the Campbells in 1692.Next, you'll travel to Fort William in the shadow of Ben Nevis, Britain's tallest mountain. A real highlight is the drive through the Great Glen, which is also the route taken by the Caledonian Canal. You will criss-cross the canal several times as you travel to Inverness. The Great Glen contains three lochs which offer spectacular vistas: Loch Lochy, Loch Oich and, most famously, Loch Ness.The pretty little village of Fort Augustus is the gateway to Scotland's largest and best-known loch, Loch Ness. 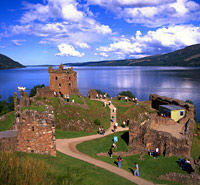 You will tour the entire length of Loch Ness, stopping at Urquhart Castle for a photograph. You can take an optional visit to the castle and enjoy a cruise (not included in tour cost) on the loch ... could that shadow be the monster? !In Inverness you will make a stop to discover the Capital of the Highlands for yourself, before starting the journey southwards through the Spey Valley and on to the dramatic scenery of Glen Garry. Your tour will then conclude back in Edinburgh. Click here to find out more about this deal! Visiting Scotland's capital city has never been easier with the Edinburgh Pass. No need to carry notes and small change, with this electronic smart card you can experience quick and hassle-free entrance to attractions.From museums and historic buildings to breath-taking art exhibitions and interactive visitor attractions, fine dining and shopping - you can use the Edinburgh Pass to make the most of your trip to Edinburgh. There is something for everyone!See more and save more with the Edinburgh Pass, the must-have sightseeing and transport pass to Edinburgh. Enjoy free entry to over 30 top attractions, free return airport and city region bus transport, plus lots more.Just visit 3 attractions and you can save Â£10 on a 1 Day Pass. The Edinburgh Pass contains Â£220 worth of entrance fees and transport tickets at any one time.SAVE MONEY WITH THE EDINBURGH PASS OFFERING: FREE entry to over 30 of the city's most exciting attractions FREE return airport transfer FREE bus travel for transport around the city and the surrounding area 25 Exclusive OFFERS from some of Edinburgh's best retailers, restaurants, festival and leisure providers Includes the Edinburgh Pass 100-page color guidebook, listing all participating Attractions and Exclusive Offers. Also includes useful visitor information, area maps and bus routes. (Valued at Â£3.99) Click here to find out more about this deal! Feeling brave enough to probe the murky depths of Edinburgh's Old Town and learn about the city's notorious bodysnatchers? Then come for a ghostly walking tour that will have Bravehearts quaking in their boots. 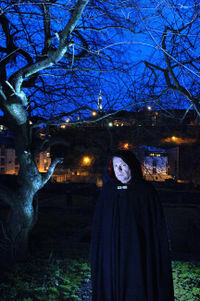 Your cloaked guide leads you through Edinburgh's atmospheric Old Town on this spookily entertaining late-night walking tour, and leaves you with plenty to ponder as you return to your accommodation alone!The tour begins at the Mercat Cross, scene of punishment and public executions in Edinburgh's past. You'll hear the tale of the one survivor of Scotland's terrible defeat by the English at Flodden in 1513. How did he secure his safety? Next, you'll discover what depraved and satanic acts were perpetrated by the Wizard of the West Bow, and no ghost tour is complete without a visit to the haunted underground vaults beneath the South Bridge. You will shiver as you hear of the strange and sinister happenings that took place in these candlelit rooms, where shadows dance on the damp stone walls. Some of the spirits that haunt these vaults are malevolent and resentful of intrusion. Whatever you do, do not wander off alone! Click here to find out more about this deal! Lochs and castles Â– what could be more Scottish? Take this small group day trip to the Scottish west coast and you'll discover the real Scotland!With a maximum group size of 16 passengers, you are sure to have a memorable and personal experience on this special day trip to Scotland's west Highland lochs and castles. You'll travel in a comfortable air-conditioned minivan, reach out-of-the-way places and receive individual attention from your expert driver/guide.Highlights include:Doune CastleStop for refreshments in Callander or KilmahogScenic views of Loch Luibnaig, Loch Earn, Glen Ogle and Glen DochartLunch at the Glenorchy Lodge Hotel (not included), in the shadow of Ben CruachanScotland's longest loch, Loch Awe, and the spectacular ruins of Kilchurn Castle, a stronghold of the Clan CampbellInveraray, an 18th-century whitewashed village on the shores of Loch FyneInveraray Castle, the neo-Gothic Scottish baronial home of the Duke of Argyll, chief of the Clan Campbell, with its 19th-century jail, museum ship and bell towerLoch Fyne, renowned for its fine seafood and views of oyster beds, salmon and trout farmsLoch Long, with its history of Viking raidersLoch LomondLuss, a conservation village with traditional estate workers cottagesPhoto stop at Stirling CastleWinner of the Inaugural Scottish Thistle Award for Sustainable Tourism, October 2007 Click here to find out more about this deal!